I was appointed as a consultant ophthalmic, oculoplastic and orbitofacial surgeon at Manchester Royal Eye Hospital in July 1992, and continued my NHS practice there until October 2014. 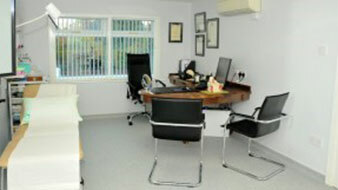 I am now in full time private practice in Manchester. I remain an honorary consultant ophthalmic surgeon at Manchester Royal Eye Hospital where I regularly undertake private surgery under general anaesthesia. My areas of expertise are oculoplastic, orbital, and lacrimal surgery. I have performed over 500 specialist oculoplastic/orbital/lacrimal operations per year (plastic surgery operations around the eyes and of the midface and upper face) for over 25 years. * Please note that these contact details are for my medicolegal practice only – please go to the home page for my contact details for my aesthetic, oculoplastic, orbital, acrimal practice. I graduated from Manchester Medical School in 1982. I trained in general ophthalmology at Manchester Royal Eye Hospital before undertaking subspecialty training fellowships in oculoplastic surgery at Moorfields Eye Hospital, London and and in oculoplastic, orbital and lacrimal surgery at the University of Iowa, Iowa City, Iowa, USA, where I also gained experience with plastic surgeons, neurosurgeons, ENT surgeons, maxillo-facial surgeons and dermatological surgeons. 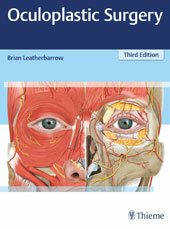 I am the single author of the major textbook ‘OCULOPLASTIC SURGERY‘ (1st edition published by Martin Dunitz, 2002, the second edition published by Informa Healthcare, December 2010). The 3rd edition is currently in preparation. I was the Section Editor for oculoplastic and orbital surgery for EYE, the scientific journal of the Royal College of Ophthalmologists, for over 15 years. 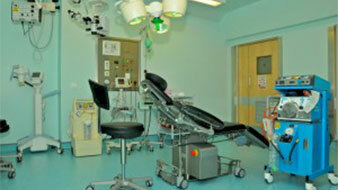 I was the founder Treasurer of the British Oculoplastic Surgery Society (BOPSS) (www.BOPSS.co.uk) 2001-2006. I am a former President of BOPSS (2011-14). 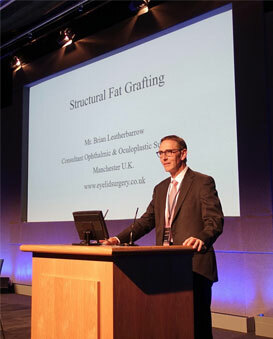 I am an inter-specialty member of BAAPS, the British Association of Aesthetic Plastic Surgeons (www.BAAPS.org.uk ) in recognition of my expertise in aesthetic eyelid surgery and the management of other surgeons’ complications of such surgery. I ran an internationally renowned sub-specialty training fellowship in oculoplastic, orbital and lacrimal surgery for over 20 years, training surgeons from around the world. I have over 100 publications in peer-reviewed scientific journals and I have contributed 6 book chapters, including a chapter on blepharoplasty (cosmetic eyelid surgery) in the major textbook Scott-Browns Otorhinolaryngology and Head and Neck Surgery 8th Edition CRC Press 2018. I have presented scientific papers, given lectures and run courses in many countries including the United States, Sweden, Germany, France, Italy, Sri Lanka, Malaysia, South Africa, Australia and New Zealand. Click on BL publications for a list of my medical journal publications covering the period 1986-2016. My practice is also supported at my clinic by Mrs Rebecca Rietdyke (Becky), specialist optometrist, at the optometry practice “Eye2C Optometry”. 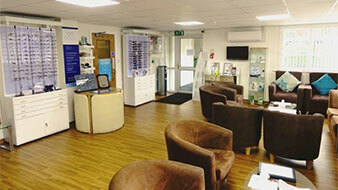 Click here to find out more about the optometry practice. 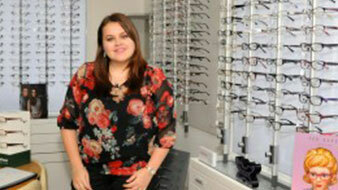 Becky has recently acquired Maloneys opticians in Sale, Manchester and can also see patients there – https://www.facebook.com/maloneyopticianssale/.